Our attorney Joseph J. Piatchek regularly assists clients that have decided to create a last will and testament. Our firm has found that almost everyone knows and understands that they should create a will, yet most people have not done so, and we think we understand why – no one wants to think or talk about death or dying. It can seem burdensome to take the time to make decisions about something that seems so far away. Thus, most people have simply not carved out the time or made the commitment to create a will. Please understand, making a last will and testament is usually a very simple process. It is not a lengthy undertaking requiring a major commitment, and you don’t need to know all the answers today. All you really need to do is call us or email us – all journeys begin with one first step. When a person dies without creating a will (technically known as dying “intestate”), control over the administration of the person’s estate will be given to Missouri courts and governed by Missouri state law. Most people don’t know that even if you don’t create a will, you still have a plan for your estate – and that plan is Missouri’s plan! Volumes of state statutes outline what happens to a person’s estate if they die without a will. Do you want to make your own plan, or are you okay with Missouri’s default plan? Guardianship and Conservatorship of Your Minor Children. Who will care for your children in your absence? Beneficiaries of Your Estate. Who will ultimately receive your assets? Personal Representative in Charge of Your Estate. Who will be your “executor,” i.e., in charge of your estate? Other Special Instructions. Will you be buried or cremated? Where will funeral services be held? Do you have any other special instructions? You can address many other items in a last will and testament, but the above are some of the most common concerns. Wills Do Not Avoid Probate Court! Unfortunately, there are limits to what making a will can accomplish. The most common misconception is that a will allows you to avoid probate. This is not true. A will simply allows you to retain control over the administration of your estate, resolve guardianship concerns, and name beneficiaries for your property and other assets. It will not keep your assets out of the probate court process by itself, but it may be able to accomplish this when used in combination with other estate planning tools. Only through titling of assets in the appropriate manner (including, but not limited to, titling items in a revocable living trust) can you avoid probate. In fact, a will is only given effect inside of a probate court. So if you desire for your family to inherit your belongings while avoiding probate, you will need the expertise of an estate planning attorney to help you utilize “non-probate transfers,” such as payable-on-death (POD) designations, transfer-on-death designations (TOD), beneficiary deeds, or revocable living trusts. We offer plenty of information on this site regarding these probate avoidance options. 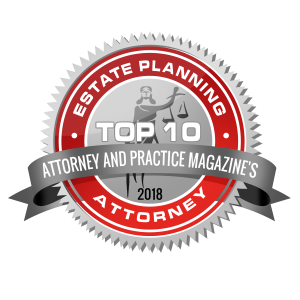 If you have any questions about these or other estate planning tools, please contact us today. Why Not Begin Filling Out a Will Today? 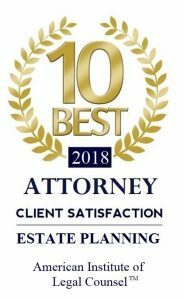 At the Piatchek Law Firm, we offer thoughtful guidance, clear explanations, and a high degree of personal attention in our estate planning practice. We listen, and then we help clients identify and clearly express their goals in legal documents that will stand the test of time. As part of this practice, we create new wills and revise existing wills to account for life’s changes, like second marriages and the birth of additional children. 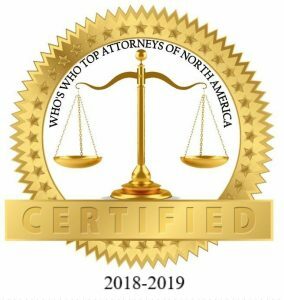 Our lawyers also use sophisticated strategies, such as revocable living trusts with pour-over wills, to provide maximum control and ensure a smooth transfer and distribution of property. For quality, affordable legal services throughout Missouri, contact the Piatchek Law Firm at 417-882-5858. Free initial consultations are available for those seeking to make a will, and we are available for evening and weekend appointments. We can also arrange a home visit if you are unable to travel to our offices.